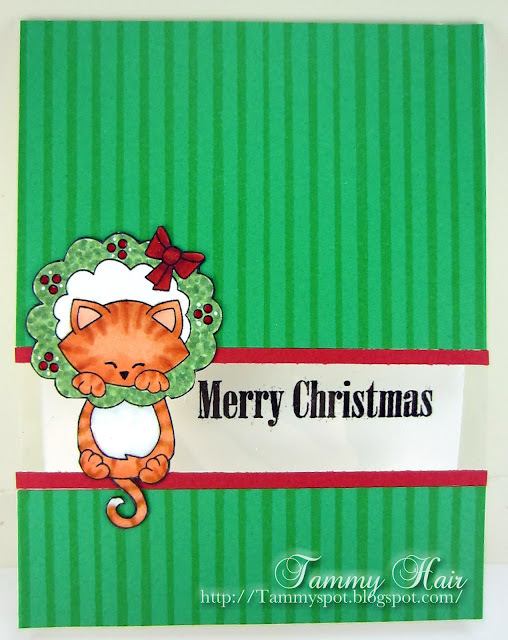 super cute stamps from Newton's Holiday Mischief from Newton's Nook Designs. The wreath and bow on the second card I made using my Scan and Cut2. These are too cute! So glad you are having fun with your new toy. Awwww, darling! These mischievous kitties are too adorable! Glad to see you're having fun with your new toy! Both kitty images are just too adorable. Both cards are super cute! 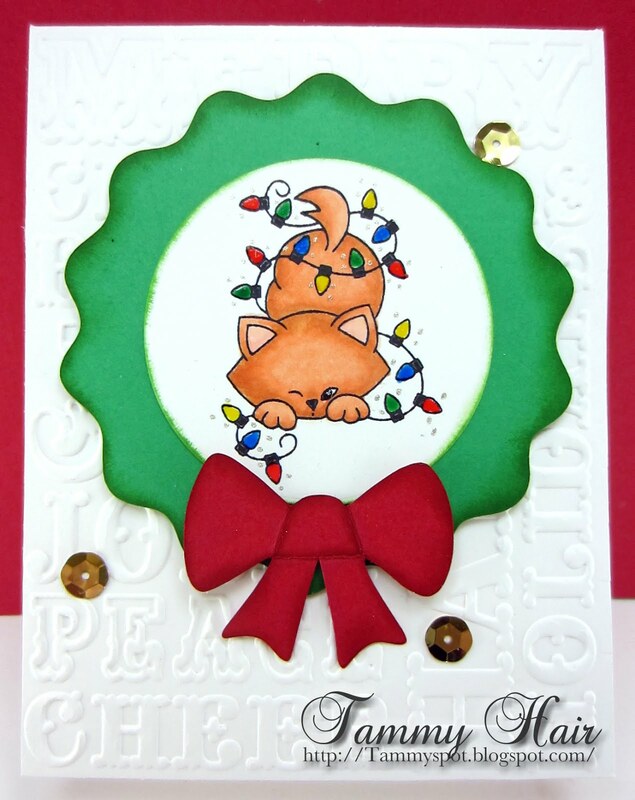 I am lovin' these holiday kitties, Tammy!! What cute, cute cards! aww....these are too cute! Wishing you and your family a wonderful Christmas and a happy and healthy 2016! These are too cute Tammy! Love the kitties! Wishing you ca very Merry Christmas & A Happy New Year! I love you more than pie!